Ok, so some time ago, I squibbed SolidWorks Real Rewards program in an article called SolidWorks Real Rewards (Smart Button). 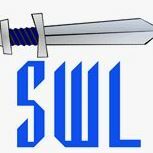 SolidWorks Legion got a lot of attention because of that article. That article is still in the top ten articles here on SolidWorks Legion. So here’s the deal. I did make fun of the program; didn’t see a major reason to take it seriously. However, there was an unintentional side effect, both to the program and to my article. If you look at the article, you’ll find a lot of requests from individuals who wanted to be signed up for the program. As described to me by the program’s initiator at SolidWorks Corp, the purpose of this program was to encourage individuals to spread the word about SolidWorks. If someone knew another person or company that could benefit from 3D CAD software (particularly SolidWorks), they could sign those individuals up via the Real Rewards website. In return, if a purchase of SolidWorks was made as a result of the referral, the referrer would get a snazzy little prize. However, in practice, my article has attracted many people looking for a trial of SolidWorks for various other reasons. I’ve dutifully submitted the email of each person that requested such within the comments of that article. I never expected any of those leads would turn into a qualifying purchase of SolidWorks, but I thought I’d do it anyway, just in case (and kinda for the fun of it). Well, guess what?Â Recently, I contacted SolidWorks Corp about my many referrals to see if anyone did indeed make a purchase. It turns out one did! Of course, I’m a little annoyed that I had to ask instead of SolidWorks Corp just surprizing me. But hey, free gifts, right?! I earned the level 1 gift. 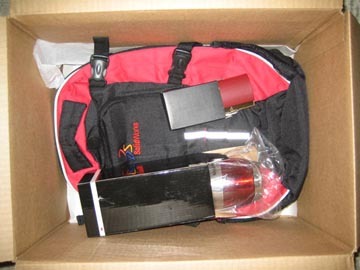 It is a package including a SolidWorks backpack (not the same one from SWW8 or given away at user group meetings), a business card holder all jazzed up with faux wood, and an insulating coffee cup that is so heavy, it could prolly be mistaken for a mortar shell. I’m moderately delighted that I earned something from the program. Maybe I can earn those Logitech Speakers at level 2! One final comment. Technically, the program only ran in the first quarter of 2008. The rules for the program have not been changed. It would seem wise for SolidWorks Corp to officially update the rules to make this an on-going program; if for no other reason than to give me a chance to earn my Logitech speakers! 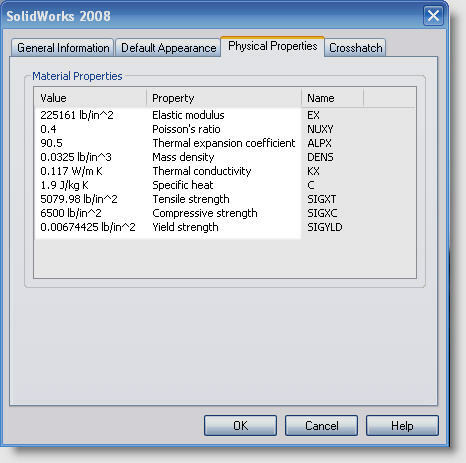 This program was cancelled by SolidWorks Corp as of December 2009. I am not able to fulfill any further submission requests for the trial version of SolidWorks. It is my understanding that SolidWorks still has other programs available. Please contact a local VAR for details. To find a local VAR or for information about current offers, please see the SolidWorks.com website. The new ctopher’s Material Database is here! The long anticipated new update of my material database. The new database version 070508 has been updated with more materials. Because of conflicts with some of the materials between SolidWorks 2008 and older versions, we created two versions. One version is for 2007 and older and the other is for 2008 and newer. Both are included in the same file. Also added is a text file with instructions. Thank you to Matt and others for your help and contributions. The new ctopher’s Material Database (offsite link) is here! The long anticipated update of my material database. The new database version 041008 has been updated with more materials. I am trying to update my material database for all of you to use. I have not had much time to look up material info and some special materials I’m having trouble looking them up, so I’m asking for help. 4. Other texture/color info that is special. Attached is an example screen shot of what the material properties look like within SolidWorks. Update Alert! The new materials database is ready. Please see this article for details and download: ctopher’s SolidWorks Material Database. Click here for the download page of the updated ctopher SolidWorks material database library.